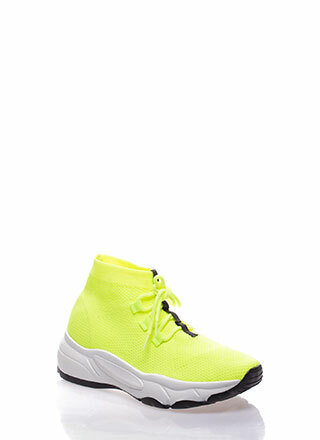 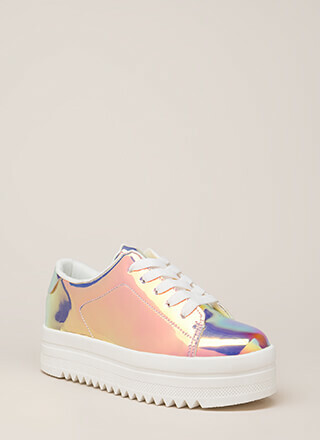 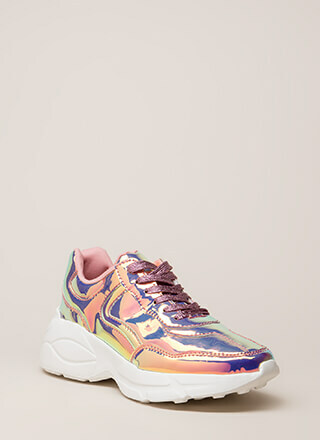 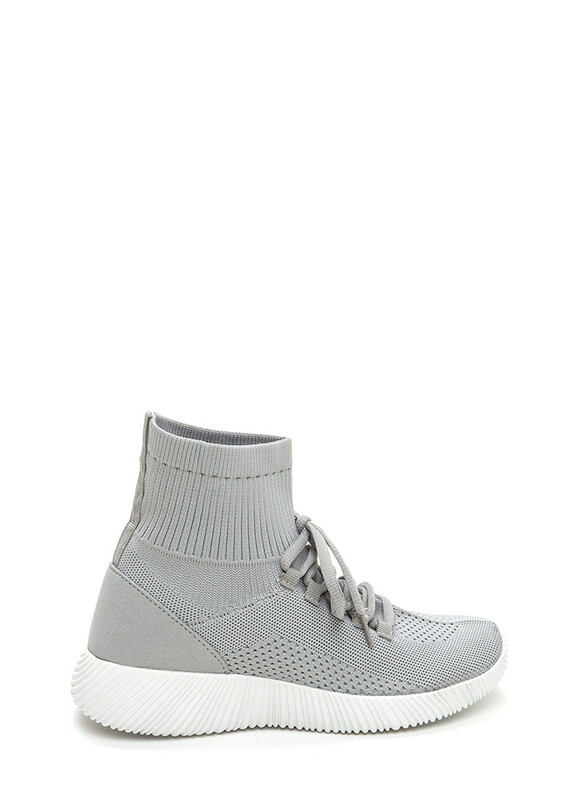 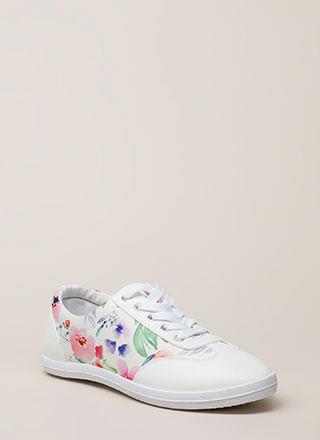 Build a chic athleisure-inspired outfit with these sleek kicks! 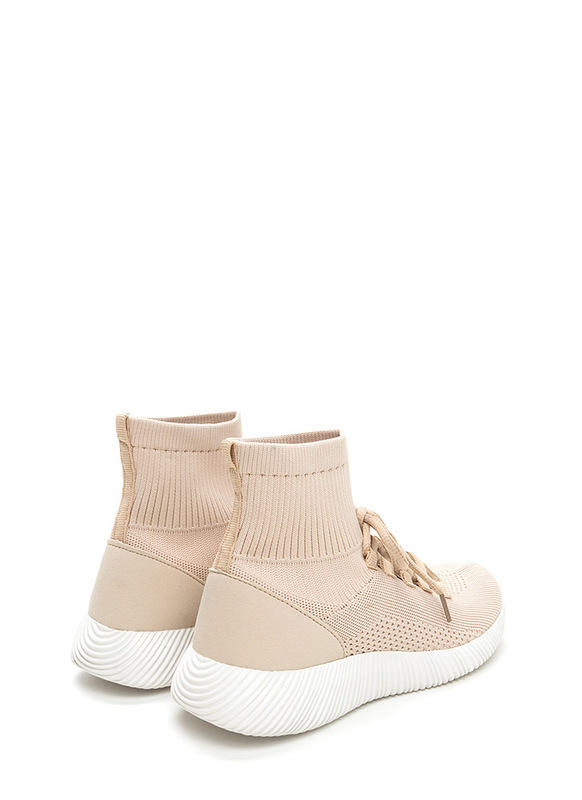 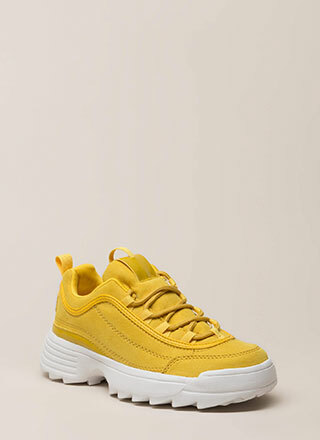 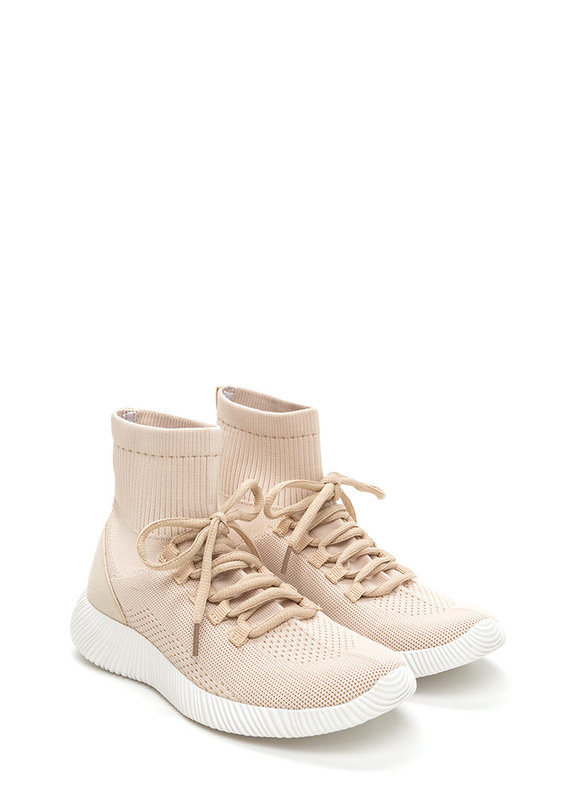 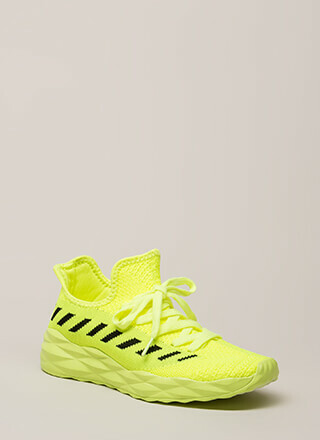 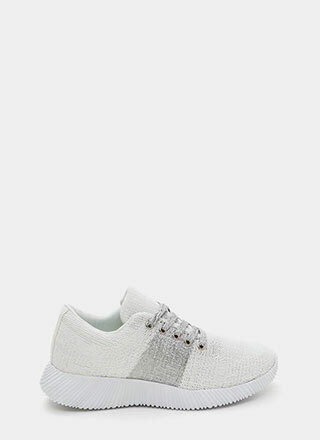 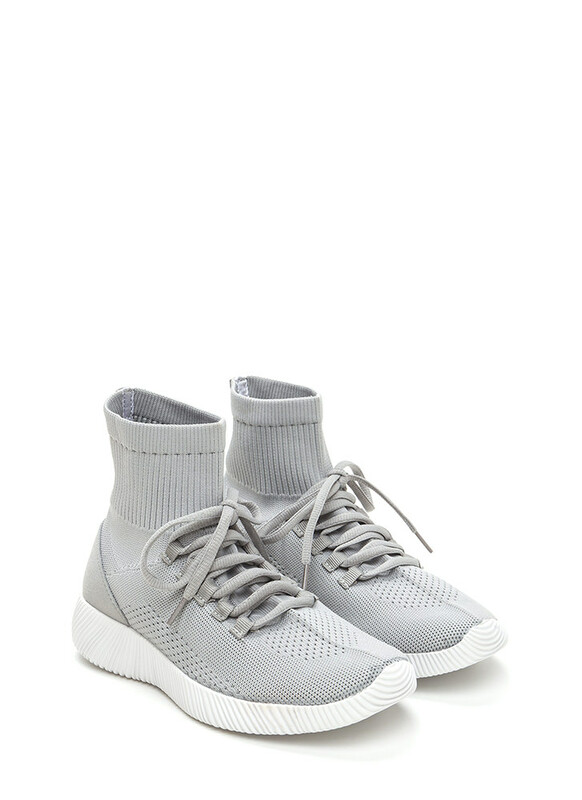 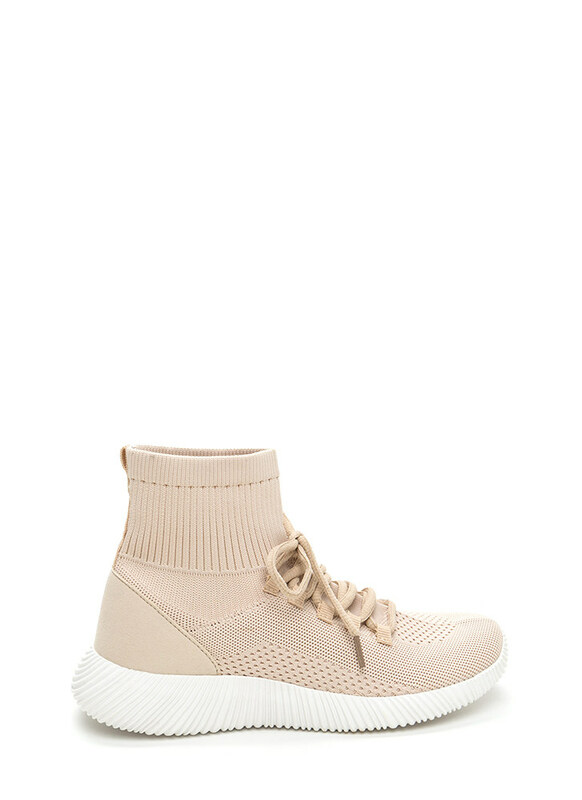 Stretchy knit sneakers feature a subtly textured and perforated upper with a lace-up front and an extended, rib-knit, sock-like cuff with a rear pull tab. 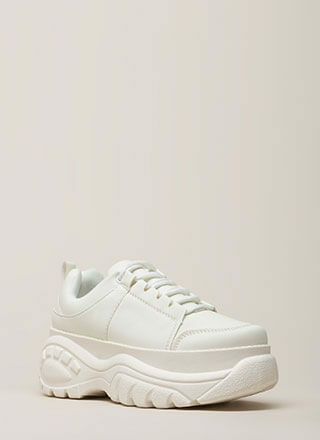 Finished with a thick, ridged sole.